You’ve probably seen the scary ads. They usually have some ominous music underlaying intentionally poor photographs of this guy Michael Weinstein, fading from color to black-and-white as a baritone voice comes in and indicates something menacing, overlaid with red text in a mean-looking font. They’re all pretty hack, so far as negative political ads go. This is Big Pharma spending tens of millions of dollars trying desperately to protect their profits at the expense of people’s lives. It might well work. They’ve got a huge money advantage and a lot of people fall for scary music and dark images and deceit. P.T. Barnum wasn’t wrong. But you know how those ads accuse Weinstein of making a living preying on people through the selling of pharmaceuticals? Well, these ads are being funded by dark campaign money from the biggest pharmaceutical companies in the world – you know, companies that prey on people through the selling of price-gouged pharmaceuticals. And now they are selling a whopper to scare people about Weinstein that just so happens to be the stark honest truth about themselves. That’s irony writ large. Weinstein is the man in charge of the AIDS Healthcare Foundation that has brought forward Ohio Issue 2, the Drug Price Standards Initiative going to voters on Nov. 7. 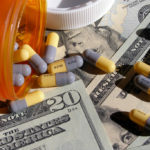 Issue 2 would require the state and state agencies, including the Ohio Department of Medicaid, to pay the same or lower prices for prescriptions drugs as the U.S. Department of Veterans Affairs (VA)—a department that negotiates drug prices with companies and typically pays 24 percent less than other agencies for prescription drugs. Specifically, it would forbid state agencies to enter into any purchasing agreement with drug manufacturers unless the net cost of the drug is the same or less than that paid by the VA. Issue 2 would apply in any case in which the state ultimately provides funding for the purchase of drugs, even if the drugs are not purchased directly by a government agency. Examples of such cases include the Ohio Best Rx Program and the Ohio HIV Drug Assistance Program. Issue 2 would also allow the measure’s petitioners to have a direct and personal stake in defending the law from legal challenges, require the state to pay the petitioners’ reasonable legal expenses, and require the petitioners to pay $10,000 to the state if a court rules Issue 2 unenforceable. So, no surprise, Issue 2 is scaring the stuffing out of Big Pharma – the same companies that have brought America a prescription painkiller and opioid crisis over the past decade while simultaneously being one of the two biggest barriers in the United States to universal lifetime health coverage for all. And these companies are hiding behind the dark political finance system and legalized bribery enshrined by the U.S. Supreme Court in its Citizens United and McCutcheon rulings. No wonder Weinstein is frustrated. No wonder these companies refuse to speak to reporters about their funding of the anti-Issue 2 campaign. No wonder their CEOs refuse to meet Weinstein face-t0-face and debate him in public. That’s what Weinstein called for in a conference call with Ohio reporters last week. “The No on 2 campaign has been based on a big lie,” Weinstein kicked off the call by noting. His organization, the California-based AIDS Healthcare Foundation (AHF), is not a for-profit corporation, he said. AHF does not profit from selling pharmaceuticals (like Big Pharma does), he said. AHF is a non-profit, tax-exempt organization with all dollars earned going back toward funding cutting edge medicine advocacy for people regardless of their ability to pay. AHF has 821,000 patients in 31 countries and 15 states, Weinstein said. It has served more than 17,000 people in the last five years in the state of Ohio, he said. Weinstein said that this allegation that AHF is somehow brining this issue to Ohio for the money has been the basis of the “sleazy, shameful campaign financed by dark money” against Issue 2. Weinstein specifically called out Craig Landau, CEO of Purdue Pharma, which has been sued, repeatedly (including by Ohio Attorney General Mike DeWine), over the opioid crisis in America and the company’s role in pushing for painkiller prescriptions promotional materials pitched as being less addictive. Weinstein alleged Purdue is contributing to the No on 2 campaign through the Pharmaceutical Manufacturers Association, the drug companies’ trade association, but said they won’t admit how much. The Big Pharma CEOs know they can’t win on the issue of drug pricing, he said, so they change the subject.